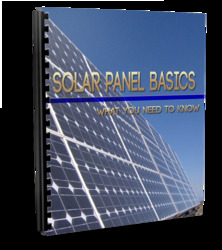 The fuel cell types addressed in this handbook have significantly different operating regimes. As a result, their materials of construction, fabrication techniques, and system requirements differ. These distinctions result in individual advantages and disadvantages that govern the potential of the various cells to be used for different applications. PEFC: The PEFC, like the SOFC, has a solid electrolyte. As a result, this cell exhibits excellent resistance to gas crossover. In contrast to the SOFC, the cell operates at a low 80°C. 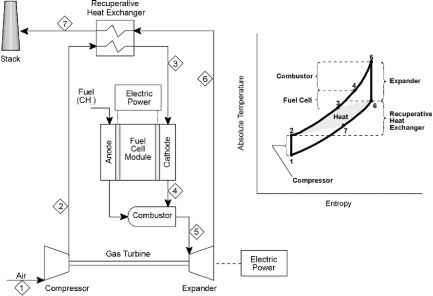 This results in a capability to bring the cell to its operating temperature quickly, but the rejected heat cannot be used for cogeneration or additional power. Test results have shown that the cell can operate at very high current densities compared to the other cells. However, heat and water management issues may limit the operating power density of a practical system. The PEFC tolerance for CO is in the low ppm level. AFC: The AFC was one of the first modern fuel cells to be developed, beginning in 1960. The application at that time was to provide on-board electric power for the Apollo space vehicle. Desirable attributes of the AFC include its excellent performance on hydrogen (H2) and oxygen (O2) compared to other candidate fuel cells due to its active O2 electrode kinetics and its flexibility to use a wide range of electrocatalysts, an attribute that provides development flexibility. Once development was in progress for space application, terrestrial applications began to be investigated. Developers recognized that pure hydrogen would be required in the fuel stream, because CO2 in any reformed fuel reacts with the KOH electrolyte to form a carbonate, reducing the electrolyte's ion mobility. Pure H2 could be supplied to the anode by passing a reformed, H2-rich fuel stream by a precious metal (palladium/silver) membrane. The H2 molecule is able to pass through the membrane by absorption and mass transfer, and into the fuel cell anode. However, a significant pressure differential is required across the membrane and the membrane is prohibitive in cost. Even the small amount of CO2 in ambient air, the source of O2 for the reaction, would have to be scrubbed. At the time, U.S. investigations determined that scrubbing of the small amount of CO2 within the air, coupled with purification of the hydrogen, was not cost effective and that terrestrial application of the AFC could be limited to special applications, such as closed environments, at best. Major R&D on AFC is no longer done in the U.S. but recent development in Europe has created renewed interest in this fuel cell type. PAFC: The CO2 in the reformed fuel gas stream and the air does not react with the electrolyte in a phosphoric acid electrolyte cell, but is a diluent. This attribute and the relatively low temperature of the PAFC made it a prime, early candidate for terrestrial application. Although its cell performance is somewhat lower than the alkaline cell because of the cathode's slow oxygen reaction rate, and although the cell still requires hydrocarbon fuels to be reformed into an H2-rich gas, the PAFC system efficiency improved because of its higher temperature environment and less complex fuel conversion (no membrane and attendant pressure drop). The need for scrubbing CO2 from the process air is also eliminated. The rejected heat from the cell is high enough in temperature to heat water or air in a system operating at atmospheric pressure. Some steam is available in PAFCs, a key point in expanding cogeneration applications. PAFC systems achieve about 37 to 42% electrical efficiency (based on the LHV of natural gas). This is at the low end of the efficiency goal for fuel cell power plants. PAFCs use high cost precious metal catalysts such as platinum. The fuel has to be reformed external to the cell, and CO has to be shifted by a water gas reaction to below 3 to 5 vol% at the inlet to the fuel cell anode or it will affect the catalyst. These limitations have prompted development of the alternate, higher temperature cells, MCFC, and SOFC. MCFC: Many of the disadvantages of the lower temperature as well as higher temperature cells can be alleviated with the higher operating temperature MCFC (approximately 650°C). This temperature level results in several benefits: the cell can be made of commonly available sheet metals that can be stamped for less costly fabrication, the cell reactions occur with nickel catalysts rather than with expensive precious metal catalysts, reforming can take place within the cell provided a reforming catalyst is added (results in a large efficiency gain), CO is a directly usable fuel, and the rejected heat is of sufficiently high temperature to drive a gas turbine and/or produce a high pressure steam for use in a steam turbine or for cogeneration. Another advantage of the MCFC is that it operates efficiently with CO2-containing fuels such as bio-fuel derived gases. This benefit is derived from the cathode performance enhancement resulting from CO2 enrichment. The MCFC has some disadvantages, however: the electrolyte is very corrosive and mobile, and a source of CO2 is required at the cathode (usually recycled from anode exhaust) to form the carbonate ion. Sulfur tolerance is controlled by the reforming catalyst and is low, which is the same for the reforming catalyst in all cells. Operation requires use of stainless steel as the cell hardware material. The higher temperatures promote material problems, particularly mechanical stability that impacts life. ITSOFC: The intermediate temperature solid oxide fuel cell combines the best available attributes of fuel cell technology development with intermediate temperature (600-800°C) operation. Ceramic components are used for electrodes and electrolytes: carbon does not deposit on these ceramic materials; therefore, this fuel cell may accept hydrocarbons and carbon monoxide in the fuel. Internal reforming is practical at temperatures above 650°C. Moreover, use of solid state components avoids design issues, such as corrosion and handling, inherent in liquid electrolyte fuel cells. The reduced temperature from the TSOFC allows stainless steel construction, which represents reduced manufacturing costs over more exotic metals. The disadvantages of ITSOFCs are that electrolyte conductivity and electrode kinetics drop significantly with lowered temperature. Present technology development is addressing these issues through thin-film electrolyte development and also a search for alternate materials. TSOFC: The TSOFC is the fuel cell with the longest continuous development period, starting in the late 1950s, several years before the AFC. The solid ceramic construction of the cell alleviates cell hardware corrosion problems characterized by the liquid electrolyte cells and has the advantage of being impervious to gas cross-over from one electrode to the other. The absence of liquid also eliminates the problem of electrolyte movement or flooding in the electrodes. The kinetics of the cell are fast, and CO is a directly useable fuel as it is in the MCFC and ITSOFC. There is no requirement for CO2 at the cathode as with the MCFC. At the temperature of presently operating TSOFCs (~1000°C), fuel can be reformed within the cell. The temperature of a TSOFC is significantly higher than that of the MCFC and ITSOFC. However, some of the rejected heat from a TSOFC is needed to preheat the incoming process air. The high temperature of the TSOFC has its drawbacks. There are thermal expansion mismatches among materials, and sealing between cells is difficult in the flat plate configurations. The high operating temperature places severe constraints on materials selection and results in difficult fabrication processes. The TSOFC also exhibits a high electrical resistivity in the electrolyte, which results in a lower cell performance than the MCFC by approximately 100 mV. Developers are assessing the advantages of each type of fuel cell to identify early applications and address research and development issues (see Sections 3 through 8).